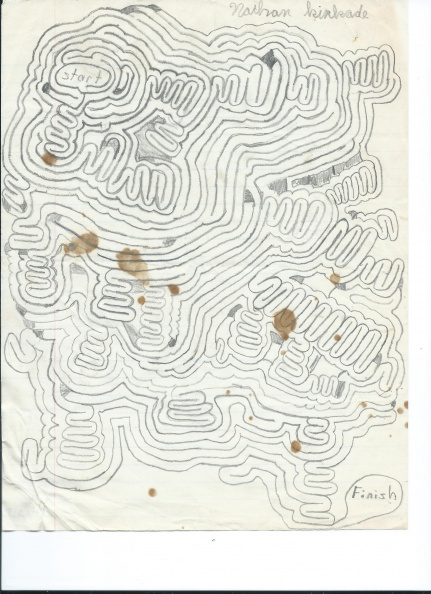 A handmade maze. I recall making these as a kid. The back of the paper says "Fall, 1981" in what appears to be my dad's handwriting. So I was 9.